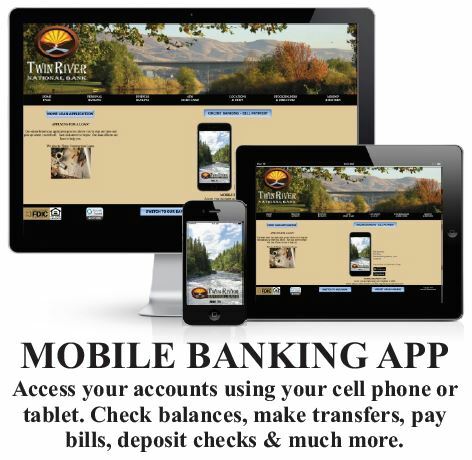 Twin River Bank has online services to help you do your banking on your own time when it’s convenient. BILL PAYMENT – Available through iPay using our Online Banking. You can easily pay bills, schedule bills and track your records for tax purposes. REMOTE DEPOSIT – Business customers are able to use a scanner for larger deposits to send check images and their business deposit to the bank. Single check deposits are also done using the phone app and taking a picture with your cell phone. The deposit shows immediately in your account. STATEMENTS & CHECKS – Online statements and check images are available online. You can download to your own device. BUSINESS ACH – Deposit your staff payroll direct to their personal accounts. Debit your customer’s personal accounts for their monthly billing automatically. Many ways to improve the speed and convenience of your business banking are available.